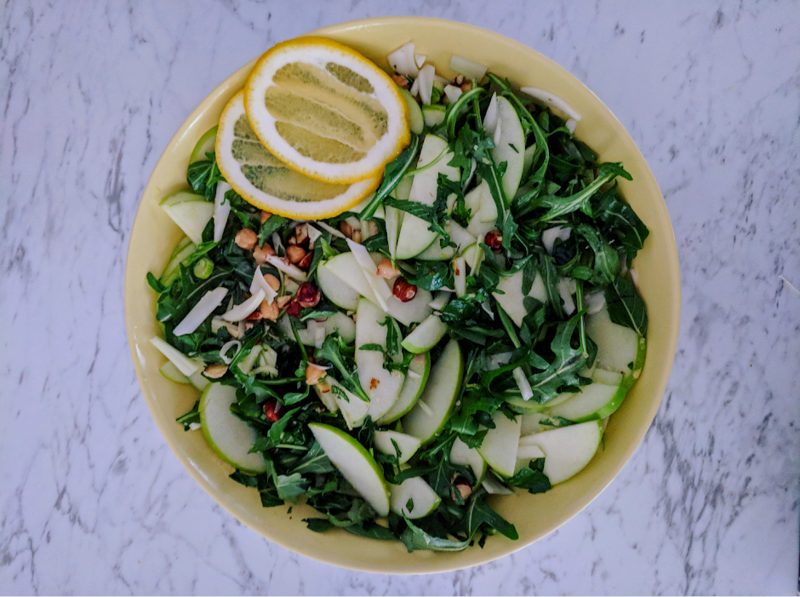 Fresh, light and perfect for entertaining, this vegan salad is a healthy delight that tastes great and is fast to make. With crunchy hazelnuts, crispy apple and lemony dressing, it can be made in advance and enjoyed throughout the week. Combine apples with lemon juice and rind and set aside. In a large bowl, combine remaining salad ingredients. Just before serving, add apples with lemon juice to the salad. Just before serving, combine all ingredients until smooth, pour over salad and toss to combine.